Step 1: Sign in with your Gmail. Step 2: Click on the bar lines at the left and then click on Languages. You may choose English, Filipino and Cebuano. You can also change your settings, check your badges and your stats from here. Step 3: Select the translation you want to work on. Step 4: Translate or Validate. Have fun! Today, websites, documents, emails and even instant messages can be translated into 90 different languages — including Filipino and Cebuano– instantaneously and for free through Google Translate. Launched in 2006, Google Translate has become one of Google’s most popular and useful products, processing a billion of translations a day. 92% of Translate’s 500 million users are outside the USA. It currently supports text inputs in 90 languages and spoken translations in 42 languages. In its conversation mode, Translate can recognize a language being spoken and provide translation between the two languages for 32 languages. It can also recognize and translate text in an image in 36 languages through its Optical Character Recognition (OCR) technology. Google Translate learns from the available material on the web and gets smarter as it receives more inputs. What is Google Translate Community? Google Translate Community is a free feature on Google Translate that allows language enthusiasts to help improve the translation quality. This helps Google Translate to have quality translated words in 90 languages as well as help Google in launching new supported languages. What is Translate Community Tool and how does it work? 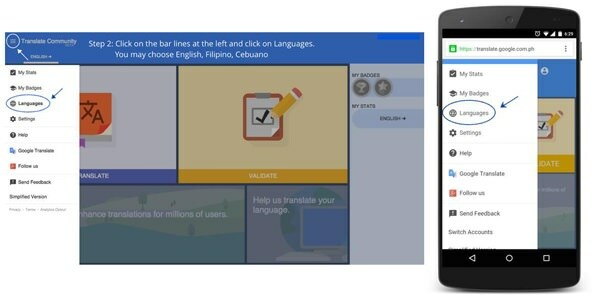 With the new Google Translate Community tool, people can directly contribute in helping improve the representation, accuracy and understanding of their language online. Using this tool, people can generate new translations as well as to rate and compare existing translated words and phrases.